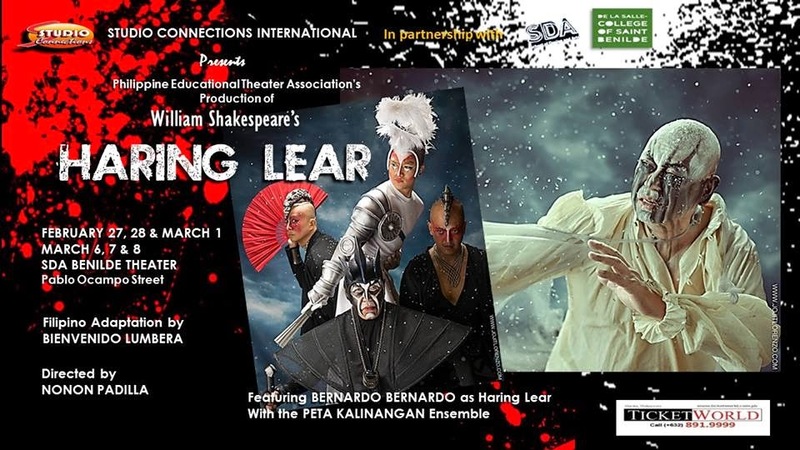 Studio Connections International, in partnership with Dela Salle College of St. Benilde School of Design and Arts, presents PETA’S HARING LEAR, Bienvenido Lumbera’s adaptation of Shakespear’s King Lear. JASON BARCIAL Duke ng Burgonia. 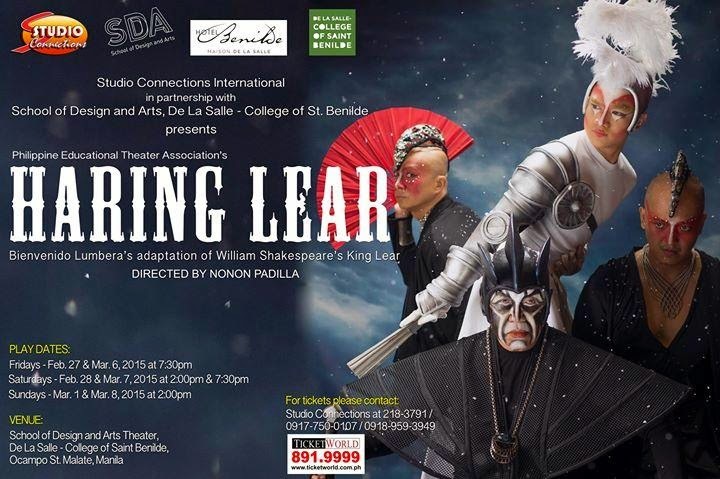 Tickets are also available at all TicketWorld outlets. CALL 891-9999.